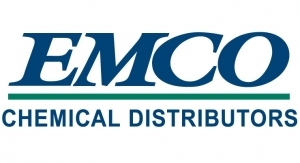 EMCO Chemical Distributors, Inc. is one of the largest chemical distributors and contract packagers in North America. With over 2 million gallons of bulk capacity and over 1 million square feet of storage, EMCO has the breadth of products you need when you need them. With distribution warehouses spread throughout the Midwest, EMCO focuses on bringing both Technology in the form of Specialty Chemicals and basic industrial chemicals to you with competitive prices.